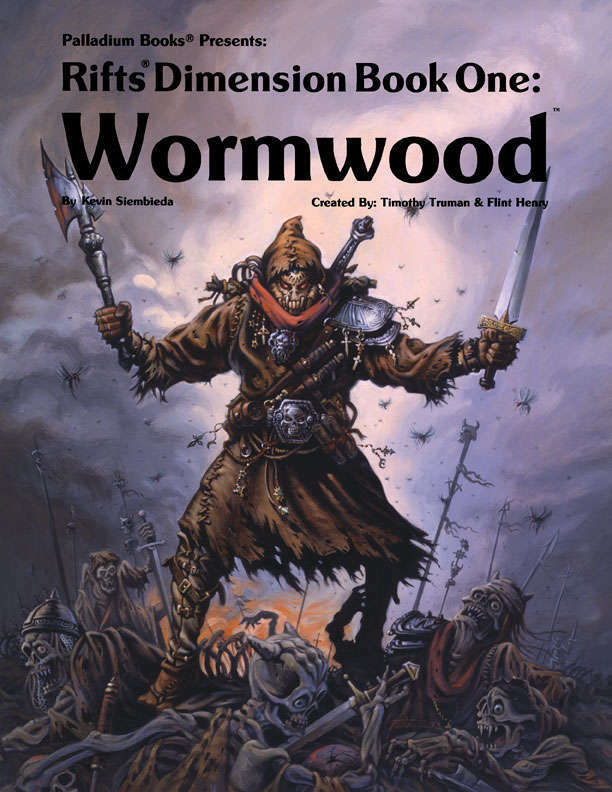 Wormwood™ is a weird, decadent, and violent world ruled by demonic creatures and evil clergy who control powerful kingdoms of monsters and enslave humans. The demonic destroyers command the Crawling Towers and Life Force Cauldrons to do their bidding. One of countless alien worlds linked to Rifts® Earth by the many dimensional gateways of the ley lines. 17 wild Occupational Character Classes & R.C.C.s, including the Apok, Holy Terror, Worm Speaker, & Symbiotic Warrior. Over 30 horrific monsters, villains and characters. Symbiotic magic, slime, Crystal magic, and weapons. A 20 page comic strip by Tim Truman & Flint Henry! Written by Siembieda. Concepts and characters created by Timothy Truman and Flint Henry. Art by Truman & others. 160 pages. Cat. No. 809. This title was added to our catalog on August 03, 2017.